Paul Greengrass’ re-visit — the starkly named Jason Bourne — is unnecessary: Ultimatum was a tidy enough wrap-up. This latest offers the same old stuff — hacking, car chases, gadgetry, European capitals and a betrayal from Bourne’s erstwhile boss, the CIA. 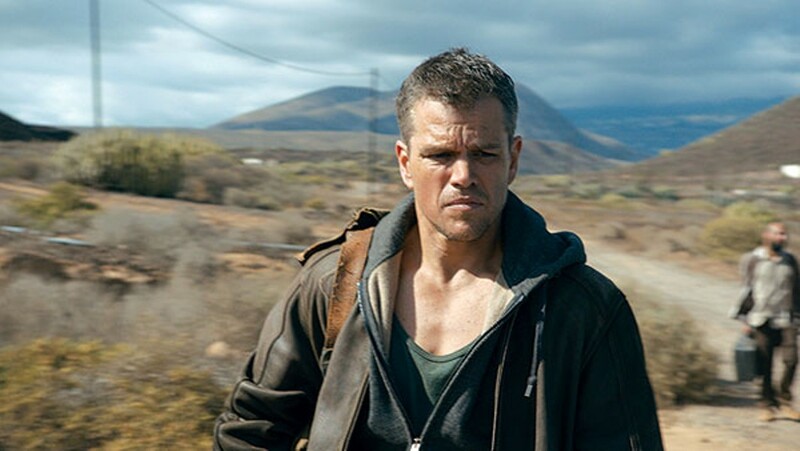 It teases Bourne’s origin story, but when the big reveal comes, it’s perfunctory and unexplored, despite obvious “daddy issues.” One of the better parts of the series has been Bourne’s struggle to sort out who he is vis-à-vis a moral code, but here he is resigned to eluding capture and killing the bad guys. Just another day at the Bourne Franchise. Back in Athens, Bourne — like the film — ignores intriguing anti-government street riots and gets chased around narrow streets by CIA teams. We see a bit of Greek “Tokyo Drift,” but the vehicular action is a yawn. It doesn’t even hit its marks: Where is the destruction of a marketplace? The “big moment” is a motorcycle bouncing down some stairs — was the Parthenon booked?! Later, the film’s marquee chase is a high-speed wreck-o-rama that takes place on the Vegas Strip, apparently all on one block: It’s obvious these cars are just looping past the same vividly signed casinos. Sigh. It’s as if Greengrass, Damon, the special-effect guys, everybody, are just going through the motions without any purpose or élan. Throughout, Jason Bourne is devoid of tension: no knuckle-biting peril, no narrative mystery, no twist on Bourne himself (spoiler: he used to be somebody else). The best tension comes from watching Vikander deploy her Scandinavian cool in the face of Tommy Lee Jones’ breezy mansplaining. There’s a ticking time-bomb I could get behind.